“A Different Environment: The Finger Lakes Environmental Film Festival (FLEFF),” a collaborative research paper written by Warren Schlesinger, Accounting and FLEFF Fellows Coordinator, and Patricia R. Zimmermann, Cinema Studies and Codirector, FLEFF, Ithaca College, USA was selected for the Eighth International Conference on Environmental, Cultural, Economic and Social Sustainability, January 10-12, 2012 at the University of British Columbia in Vancouver, Canada. Warren Schlesinger presented this collaborative project which analyzed how FLEFF integrates and interrogates the creation of public sphere, international sustainability, and the creative economy public policy at the conference in Vancouver. 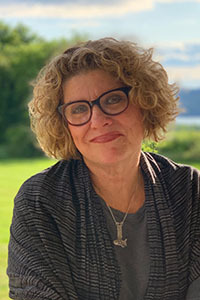 Originally published in Intercom: Warren Schlesinger and Patricia Zimmermann Research Paper on the Finger Lakes Environmental Film Festival Presented in Vancouver, Canada.